I have read so many articles over the past few years about not comparing ourselves on social media. The quote, “Comparison is the thief of joy,” is constantly thrown around and we continue to tell each other to stop comparing ourselves. But I can’t get on board with this idea and here’s why. Comparison pushes us to our potential. Teaching ourselves to stop comparing only leads to complacency. When I grade a student’s assignment, I am comparing the answers s/he provides against the correct answers. If the grade isn’t 100%, there is still room for growth and learning. As a teacher, I am asked to guide children in a growth mindset to reach their full potential. No way would I expect every child to reach 100% on everything every time. But the idea here is that my job as an educator is to help each child reach his or her individual potential addressing unique needs and abilities. A 70% may be the very best effort for that moment for one child seeing as she started at a 30%, but 85% or 90% may not be enough for another because that effort was one of complacency and stagnation from the starting point. Without some sort of comparison to the final benchmark from the starting point, there is no way to determine growth. And shouldn’t we all be growing? Yes. We should. Not all of us will grow at the same time in the same ways, but we ALL should be growing. When we log onto our social media accounts and take the leisurely stroll with our coffee in hand, our brains immediately start processing and critiquing what we see. We read quotes, see pictures of our friends and families, read posts about people’s lives, and watch video ads of the next greatest recipe or thing. Once upon a time my stroll made me anxious. I started developing a slight jealousy for some people’s lives, budgets, relationships, families, and experiences. I needed that quote because comparison was stealing my joy. Even applying the idea that my friends and followers are presenting their best self and they too have troubles just like me wasn’t helping. Because at the end of the day, with or without their behind the social media scene troubles, they were out there doing something. They had a best moment to post. They had a healthy habit to talk about. They had smiles with loved ones and experiences to share about. Yes, Susie may have a picture of her three cherubs smiling in front of the zoo fountain only moments later to have them all melt down. But Susie loaded up her kiddos, packed a picnic, and drove to do something that day. I am sure she worked through the meltdowns and she and her kiddos have a memory to look back on. All I did was sit on my phone or laptop wishing I was Susie. Joan lost 15 pounds in 4 months and looks fantastic. I just crammed 5 Oreos into my mouth while she posted her fast forward video workout. Both situations are moments for anxiety ridden comparison, complacency, and pouting on my part. They are moments to take inventory of places I can grow in my own life and find out where am I missing the benchmark on my full potential. Maybe my budget doesn’t allow a trip to the zoo this year. But I can use this same internet and social media to find budget friendly or free experiences local to me to get out of the house and take my children somewhere for them to experience a little joy in their lives. I can reach my parenting potential in a way that works for my family. Maybe I don’t need to lose weight or don’t have the ability to get to the nearest CrossFit gym. BUT…I have two legs that can go for walks. I don’t have to let my two hands keep shoveling the wrong foods into my mouth. I can reach my health potential in a way that works for me. If you see a happy couple smiling on Facebook and wish it was you, then do the work to heal your relationship or move on. If you see mommies having fun with their kids and you aren’t. Get up and get out in your own community. If you see old friends having a girls’ night, round up your current friends and go to a movie. 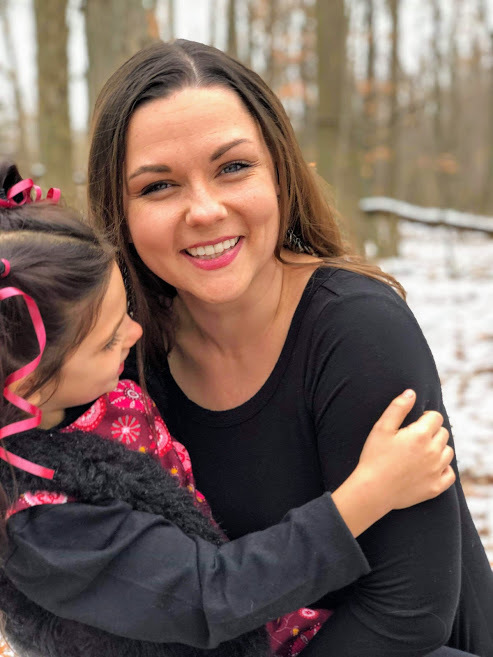 If you read a parenting article and it touches a nerve because you need to do better in that area, start implementing that skill to the best of your ability. If you see people on your social media feeds getting healthy and you still feel like crap every day, make the first move toward your own health journey. 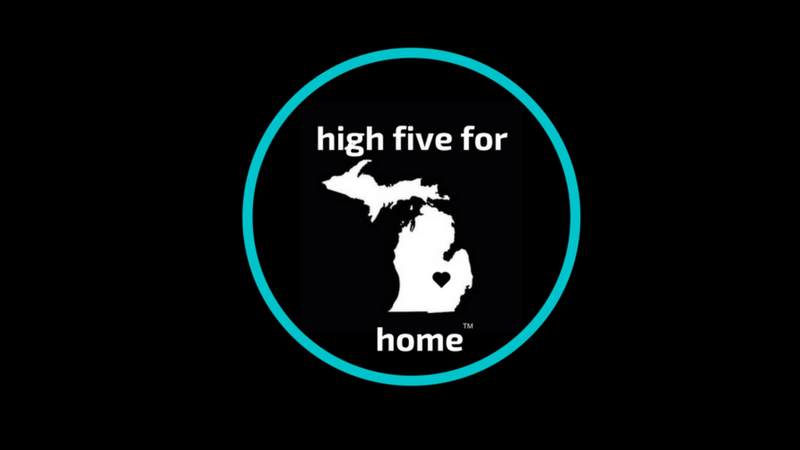 If you are inspired by the awesome video of the college kids starting a non-profit for homeless men and keep driving by the person you see on the highway corner with your own little judgement, just hand him a $5 next time without questioning. If you read inspirational quotes, but never feel inspired, start writing them down in a journal, find your quiet place, and find your life’s inspiration. If you get anxiety with everything you see online because it is too overwhelming, then get off social media until you can be thankful for the life right in front of you. Whenever I hear YOLO, I always respond with, “You only die once. You get to live every day.” What we do with our day is what matters. Our dreams don’t work until we work. 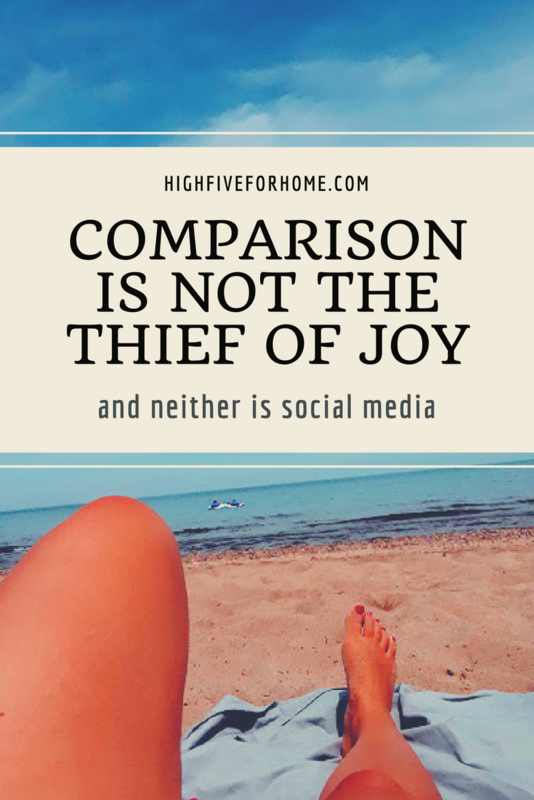 Comparison is not the thief of joy. Our own complacency is. Our waste of time is. Our lack of gratitude for what we do have is. Our failure to reach our goals and meet our God given potential is the true thief of joy. Don’t compare your life to the lives of others. Compare your effort in the way you are living the exact same 24 hours as those around you are. Because the difference between those who do and those who don’t is a choice. How can you meet your God given potential? How can you live your best 24 hours each day? What choice do you need to make today? Being inspired is good. Acting on your inspiration is great. 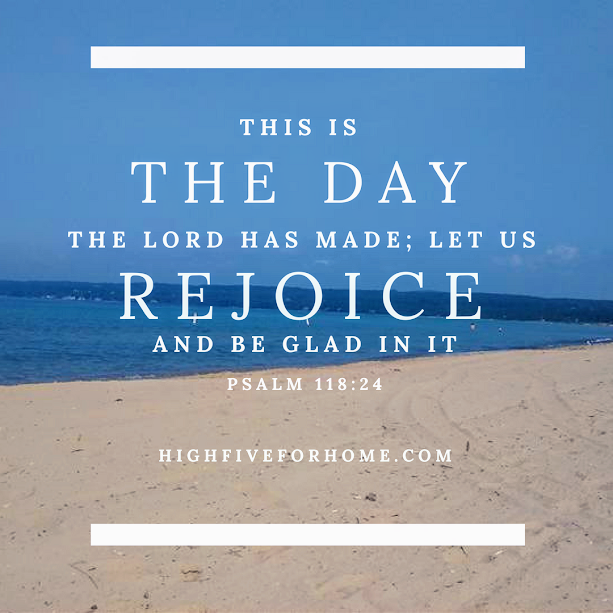 Keep choosing to make your house a love filled home.